Bolster-DeHart, Inc. specializes in identifying the most energy efficient cooling system to install in your home. It's a great time to replace or upgrade your older AC unit and make the most of your investment. Our air conditioner repair service is fast and effective, getting your system back to normal in no time! We are proud to be able to service all HVAC components in an effort to provide optimum operating efficiency. Looking to update your air conditioning system with a new and improved replacement? Let us help you! Contact us today to schedule an estimate on any of our professional HVAC repair services, such as an air conditioning repair or installation in Gibsonia, Monroeville, Bethel Park, Mckeesport, Coraopolis, Aliquippa, Mars, Allison Park, Gibsonia, and locations nearby. Get a FREE Air Conditioning Service Quote Today! Find out whether you should fix or replace your current air conditioner. Reduce your energy bills by scheduling an annual service to your AC system. Proper maintenance will prolong the life of your air conditioner. These days, air condition systems with a SEER of 16 or more are considered very good. 21 SEER systems are about the highest you can get these days. An air conditioning unit that is 12 years old or more, may only be 10 SEER or less. This means you can cut the amount of electricity you use for air conditioning in half just by making this upgrade alone! When you combine an air conditioning upgrade with other measures to save energy such as air sealing the house, adding insulation, sealing and insulation ducts, and a radiant barrier in your attic; you are saving big and making your home more comfortable! Bolster-DeHart, Inc. can accomplish this in your home! We are your fully trained and trusted air conditioning contractor in Bethel Park, Gibsonia, Monroeville, Allison Park, Mckeesport, Gibsonia, Mars, Coraopolis, Aliquippa, and other local areas. 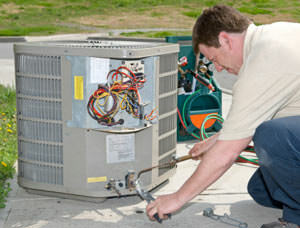 We provide professional HVAC repair services to the home such as air conditioning repairs and ac installations. In addition, we offer a home energy audit to help identify other areas contributing to energy deficiency and discomfort.